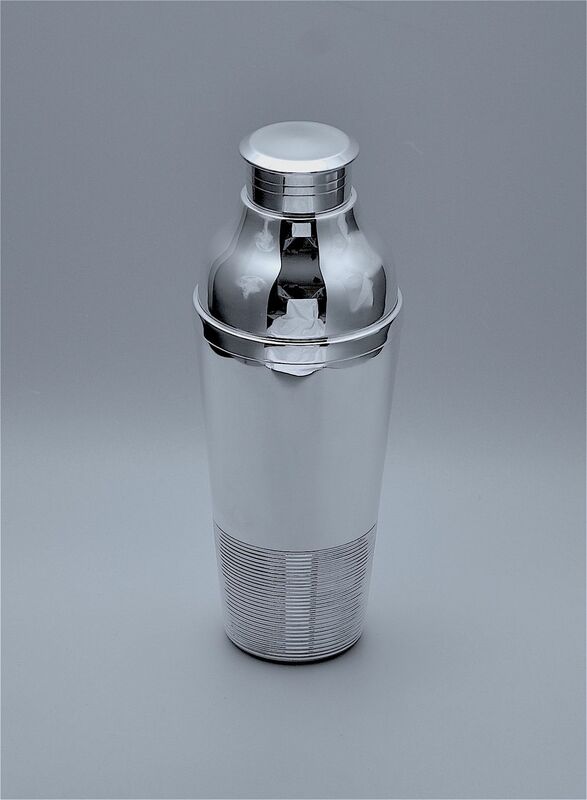 This elegant Art Deco era silver plated cocktail shaker is by Camille Longuet who was working in Paris from 1922.. The base has two rectangular cartouches one stamped "15GR" for silver plate and the other stamped "CL" with the goblet. The base, the top of the rim and the inside of the cap are all stamped "3". A very elegant piece.